Sue Turner from The Uniform Exchange in Pymble has been crowned Sustainability Champion at this year’s Green Globe Awards. The Green Globe Awards are hosted by the NSW Government every year as a way of showcasing sustainability initiatives by individuals and organisations. Sue Turner set up The Uniform Exchange at Pymble as a shop front and online market place buying and selling second hand school uniforms and other school items such as books, sporting equipment and musical instruments. As a mother of three, Sue saw first-hand how many uniforms were needed and the amount of clothing waste generated through seasonal changes and children’s growth spurts. 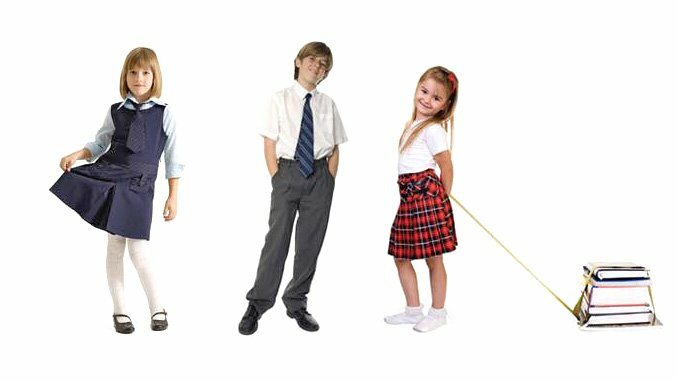 Helping you to do the best for your children by providing an easy way to buy and sell your used school uniforms and equipment.Reuse, Reduce Recycle …it’s the only way to go. The Uniform Exchange was launched from her garage and has since expanded into a business selling over 7000 uniforms and 2000 books and servicing over 10,000 online users. Sue was a finalist in the 2015 Women’s Weekly Small Business Awards and is also a leading member of the Council-supported Better Business Partnership, which encourages businesses on Sydney’s north shore to cut waste and other costs by adopting sustainable practices and procedures. According to Sue, The Uniform Exchange is meeting a ‘huge demand for quality second hand uniforms’. “My business is geared around encouraging my customers to rethink before buying new and the environmental benefits of reusing quality second hand uniforms and other school necessities”. One initiative which sets her business apart from other second hand clothing stores is a ‘nothing goes in the bin’ policy. Items are mended and if not saleable, donated to not for profit partners delivering clothing and school equipment to charities in Swaziland, Vanuatu, PNG and the Solomon Islands. In their summing up, the Green Globe Awards judging panel said Ms Turner’s Uniform Exchange was ‘a scalable and replicable example of acting locally and thinking globally, with measureable impacts that went beyond the neighbourhood to the online world’. Mayor Jennifer Anderson said Ms Turner was a ‘shining light’ for the Council’s ethos of educating Ku-ring-gai residents to live more sustainably. “Sue has shown that you can have a successful small business while actively promoting sustainable practices,” she said.